So you're looking for a driving-themed gift but want something a little bit weird and a little bit wacky. You've looked at supercar racing and thought that's fun but it's not bonkers enough. You've considered a single seater racing car experience but that lacks the quirky element you seek. It's time to get down to business. There are some really wacky driving experiences around. Like seriously quirky. They're popular and are perfect for when you want to give a driving gift experience but you don't want the same old activities. If you're on the hunt for an unusual automotive gift, look no further. I've put together a list of the 10 zaniest driving experiences I could find, that are ideal for people unphased by rolling around in a million pound supercar. Let's roll! You might have seen these plucky Italian machines being used to sell pizza or coffee at offices or at gigs. They're cute and cuddly. But not so much fun. Well, not until a team of nutters got hold of them and upgraded the gubbins for race-spec components. Then they decided to pit teams against each other, racing these nimble vehicles at speed around a track of twists and turns. If you've driven an Italian stallion supercar and want to ride in another famous Italian brand, look to further than the humble Piaggio Ape. 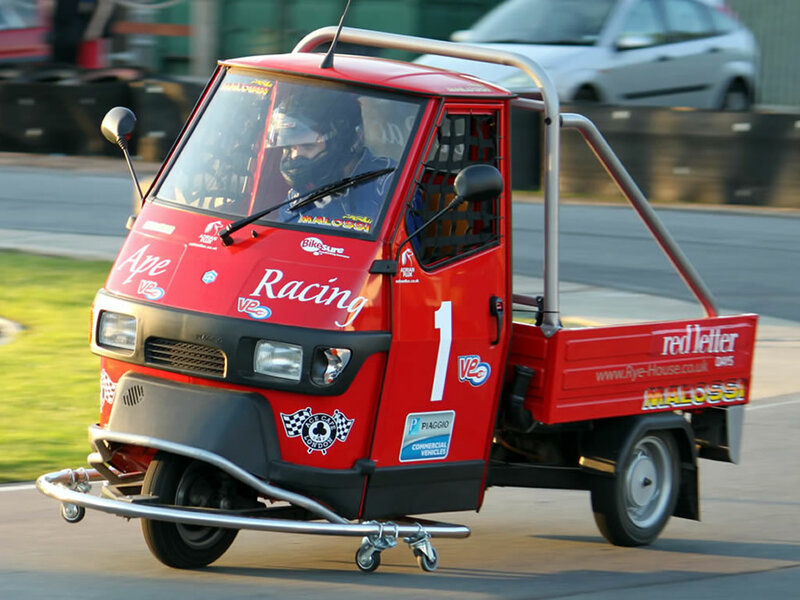 Red Letter Days sells single, two-person, or four-person tickets for Piaggio Ape Racing. Go it alone, take a friend, or take the family on a quirky race day. Monster by name, monstrous by nature. If you want a real driving thrill, you can’t get much better than this mega monster truck experience. Just like it’s fearsome namesake, ‘Grizzly’ is a cantankerous car-crushing brute; a serious mean machine that certainly doesn’t suffer fools gladly. Even reaching the cab is a challenge (you’ll need a ladder). But once you’re strapped in and ready to go, nothing else comes close to this thrilling encounter. Experience the drive of your life as you take on the monster of all trucks and tackle a testing off-road course, before mercilessly flattening two police cars in this all-action, all-American adventure. The only thing missing is a Stetson. The monster trucks usually include a US spec Monster Truck, Euro spec Monster Truck, and a twinsteer Power Turns. Fancy a unique driving experience? Why not take on the real king of the off-road – an all-American monster truck; a powerhouse that’s big, brash and brutish. Fondly known as Grizzly, it certainly lives up to its calling and will happily roar its way across rough terrain, flattening anything in its path. You’ll feel like a pea on a mountain as you attempt to master this mega machine from great heights and steer it around an off-road circuit. But you can bet your bottom dollar you’ll wear an ear-to-ear grin while you’re at it. On top of that, you’ll get to drive over two police cars (chanting: “I AM the law”). It’s the perfect treat for anyone who loves big toys and monster machines. Happy truckin’! Take on big 'Grizzly' in a monster truck ride near East Grinstead in West Sussex. Ride over mounds, down hills, around sharp bends, and even over a car! You wait for a bus and then two come along at once. Which is a good thing, as on this experience you can drive a classic AEC Routemaster and a Bendy Bus. 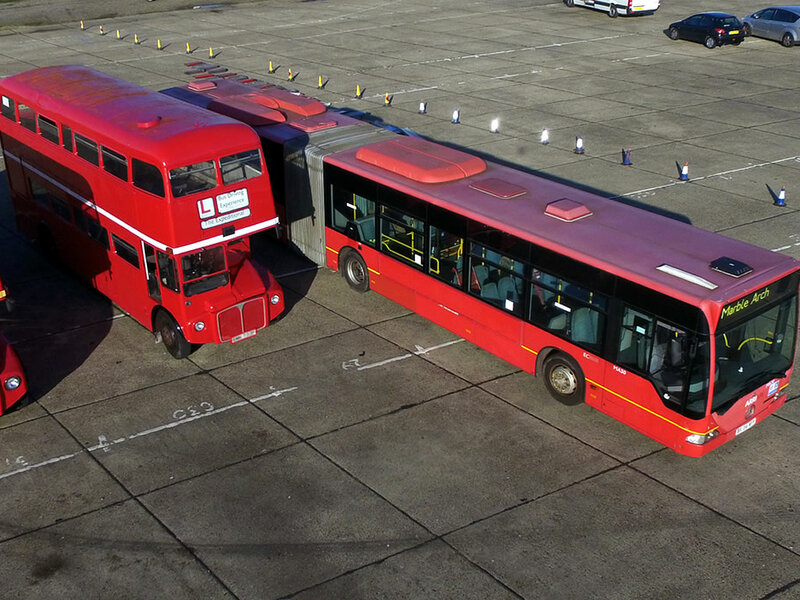 Try the old Routemaster for size as you clamber into the half-cab next to the engine. Unlike modern buses where the wheels are set back, you're sitting on top of them, so it's surprisingly easy to get to grips with. Compare it with the snake-like 18 metre-long monster of a Bendy Bus. The front wheels are set back behind the driver, and the whole thing bends in the middle. It's fun to drive but can you master a slalom in it? 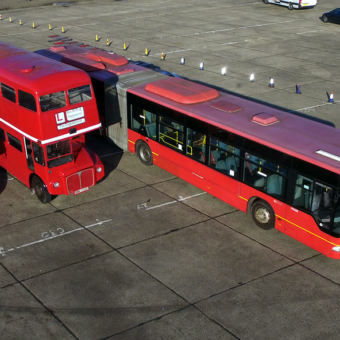 Spend 10 minutes driving a Bendy Bus and half an hour driving the classic Routemaster. Dragster… That’s a name we’ve all heard of, but how many of us actually know what it means? Well, if you’re into racing and cars, then quite a few! But for those who aren’t sure, a dragster is a custom building racing car designed especially for drag racing. And what’s drag racing, now it’s come up? Drag racing is a fast and furious race in a straight line, over around a quarter of a mile, between two cars. Nice and simple. Although it’s certainly not an easy thing to do! These cars are rough and tough, and the race tracks are unforgiving. Still, what’s life without adventure? And what’s adventure without the chance to drive a dragster at a very high speed over a very short road? The cars themselves are incredible. Options often include a 1970’s Chevy Vega Pick Up, or the famous Grumpy’s Dodge. Hold on tight and push that peddle to the metal and you might hit 130 miles per hour in no time at all! A dragster experience is ideal for those who love the speed and excitement of motor racing, but who need to try something a little different. Or what about someone who’s always said they wanted to try something new and exciting? This would work on both fronts! Near Wellingborough in Northamptonshire is where you'll have the opportunity to race what is arguable one of the loudest and fastest vehicles in the world. The cars drive at blistering speeds up to 130mph, taking just 10 seconds to complete the quarter of a mile track. You've seen them on the road. 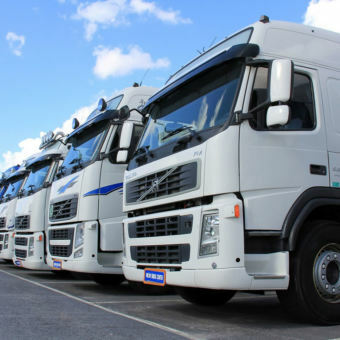 These monsters of the road line the inside lane of dual carriageways and motorways up and down the land, and cause fury when they pull out into the middle or outside lanes.They seem to get in the way, but have you ever thought about it all from a driver's perspective? Climb - and I mean climb - into the cab and experience the unparalleled views afforded only to the kings of the road. 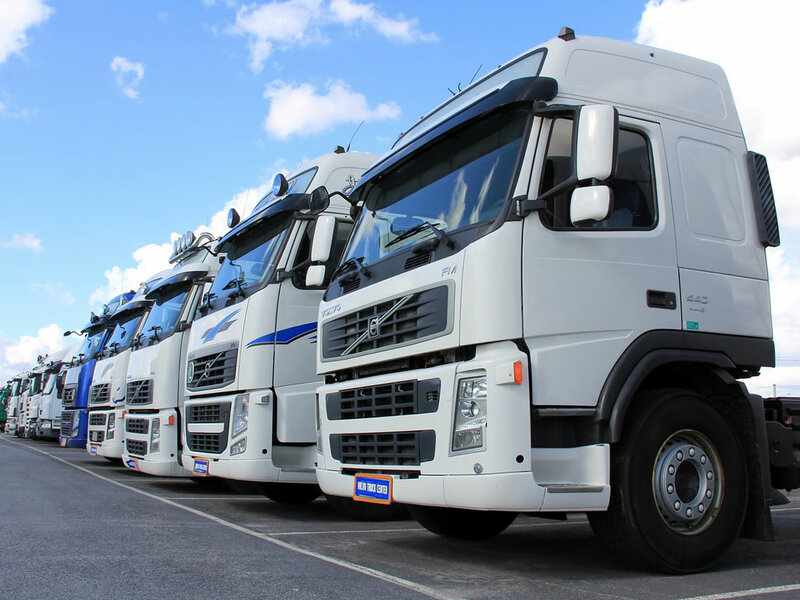 Have a go at driving these beasts which have up to a whopping 16 gears. They're needed to haul the heavy tonnage they do, but it's only when you're in the driver's seat do you really appreciate how difficult a truck driver's job can be. Not only do they have to avoid crashing into anything but they also have to expertly and faultlessly manoeuvre such a long vehicle through villages, towns, and cities. Enjoy an in-depth experience in Honiton, Devon, on a 1:1 basis so you don't need to share the ride with other customers. Tow a 40 tonne, 55-foot long, three-axle trailer with an automatic 460 bhp tractor unit around obstacles at a massive airfield. Reckon you’re the next Evel Knievel? Then try this fast and furious stunt car driving experience and find out if you’ve got what it takes. From handbrake turns and power-wheelies to double-decker cars and J-turn challenges, this is way beyond your average traffic light wheelspin. As stunts go, this is serious stuff – but it’s all about serious fun too. You might not find yourself leaping over buses or tempting the grim reaper, but you’ll be doing some of the most ridiculous things possible on four wheels and having the time of your life while you’re at it. Experiences can include a high speed shoot out, a double-decker car driving session, handbrake turns, J-turns, wheelies, and double-sided cars. It's certainly wierd and definitely wacky. Realise your childhood dreams and put those BMX days to good use by enrolling in stunt school with this extreme driving thrill. Release your road rage and become the daredevil as you take on one challenge after another – from power wheelies and J-turns to high speed control and speedy getaways. Forget car-park doughnuts and hand-brake turns at home. Hollywood’s calling, and this nutty experience is just the ticket to get you on the road to stunt stardom. Take on the Super Six Stunt Car Challenge near Birmingham and drive six of the wackiest cars around. Picture the fun you'll have taming the Clown of Doom, the Reverse Steer Head Exploder, tackling the Caster Car Drift experience, winning the Double Decker Showdown, and becoming the champ in the Dell Boy Rally, or the Ultimate Race-a-Wreck challenge. Ever walked past a building site and looked longingly at a shiny yellow JCB? No? Just me then. But let's assume you've had this thought. And you'd like to give it a spin. Well, you can. 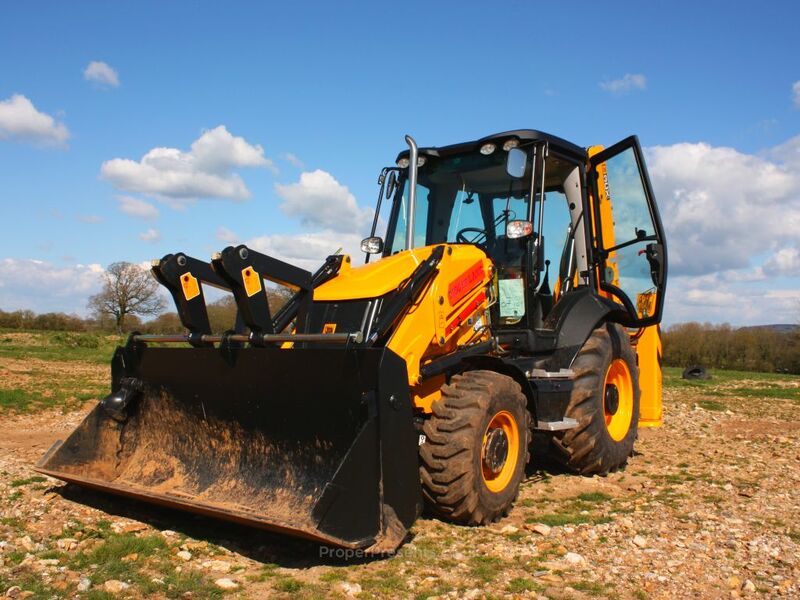 At a handful of venues across the country (at digger theme parks no less), you can get hands-on with a JCB 3CX backhoe loader. It's the thing construction dreams are made of. You'll get to grips with the controls of this 8½ tonne construction icon. Under expert tuition you'll drive around, use the controls, dig holes, fill trenches, and generally do all the things you’ve been dying to do since you were about three. 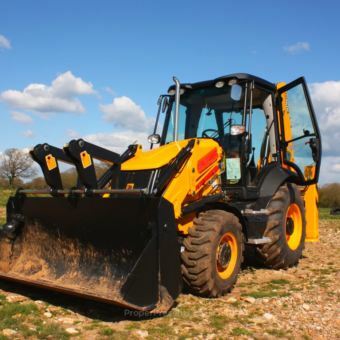 Dig, shovel, and scoop your way through a hands-on experience learning how to handle a JCB 3CX. If you thought extreme dodgems were all about bouncing off the walls in a fairground bumper car, you’re in for a treat. The extreme dodgems experience is about as far away from shoddy ghost trains and Hook-a-Duck as you can get, and if there’s one experience that demon drivers will love to get their oily mitts on, this is it. Like something out of Wacky Races, extreme dodgems is real stock car racing with plenty of thrills and spills. With no driving license required, you can throw the health and safety manual out the window and get a seriously fun-filled crash course in banger racing. 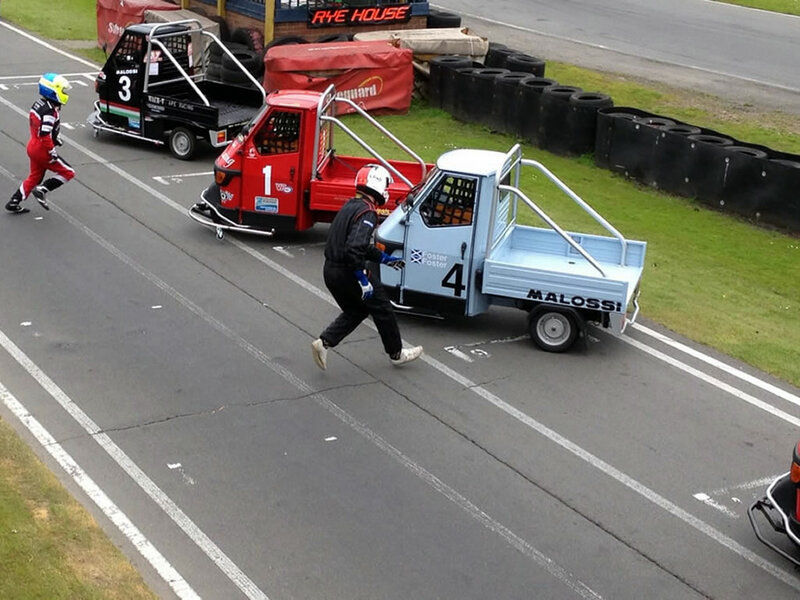 Adrenalin junkies and Jeremy Clarkson fans take note: If you like the idea of racing an old banger with a bunch of other wheel-spinning crates tearing up the track behind you, this experience has got your name on it. Lap up the adrenalin-pumping sensation of putting your foot down Stig-style and beating off the competition to the sound of cheering fans and a full racing commentary. There are thrills, spills and an all-important trophy to be had – so whether you treat your beloved and watch from the sidelines or hog it all for yourself, this is one heart-racing day out that’s right up there with the best. Forget bumper cars and try you hand at Extreme Dodgems near Birmingham. You'll receive coaching from professional drivers and officials, and have a three-lap practice session. Then it's onto two racing heats (eight laps each) in 1200cc Saloon Stockcars before an epic eight-lap high powered final. Forget traffic light wheelspins and puny gravel slides. If you really want to pull a worthy stunt, try a drifting experience on for size. Make like the movie stars and fly around a track sideways, smoking tyres and screeching around corners to your heart’s content. Learn how to pull powerslides, doughnuts and figure-of-eight drifts along with a few other gems, such as high-speed J-turns – the ultimate car chase manoeuvre. Perfect for petrol heads, this electric experience is fast, furious and full-on fun. Jason Bourne, eat your heart out. Spend plenty of time flying around sideways – drifting, skidding, sliding and generally doing everything in a car you’re not supposed to. It’s the ultimate way to burn rubber and best of all, you’re not paying for new tyres. Talk about thrill – it’s all-out Stig-style fun and as far from straight-laced driving school as you can get. Start with a demo in which you’ll be shown how to put the car into a doughnut using a combination of steering, clutch kick, and throttle control, before honing your Figure of 8 skills. Practice on a short circuit before switching to the passenger seat as a professional driver takes you on three thrilling high speed laps. This takes place near Donnington, Aldershot, Corby, and Birmingham. Reckon you’re a rally star in the making? Then try this skid control driving experience and see what you’re made of. In this thrilling, hair-raising day out you’ll learn how to stop a spin, master a skidding car and try your hand at oversteer and understeer. They don’t teach you that in driving school! Simulate the effects of driving on ice, oil and aquaplaning, learning how to handle and right your car before it skids out of control. Whether you’re a McRae in the making or you’re just out for some serious fun, this is one driving experience that will put a smile on anyone’s face. Meet your instructor and undergo a briefing which will outline what’s ahead, along with all the necessary safety information and a theoretical explanation of how to recover from a skid. Then it’s into the car to start your course. You’ll use various techniques that simulate the sensation of losing control, all with your instructor by your side, who is ready to take over the controls at a moment’s notice. Learn how to avoid skids as well as to recover from them, which is an essential skill in everyday driving. Fancy flying around a track sideways? Learning the intricate art of understeer and oversteer? Then try this skid control experience on for size. In this raucous rally-style driving encounter you’ll spend plenty of time sliding, skidding and slithering your way around a track – but there’s a serious side to this fun day out too. You’ll learn essential skills to regain control of your car when it’s skidding out of control. Who knows when you might need it? It’s exhilarating, empowering and informative… and one day it might just save your life. Visit North Weald Airfield in Essex to learn how skids occur, the different types of skids, and how to prevent them. Your instructor will demonstrate the various skids and then it's time for you to take the wheel to learn about emergency braking, oversteer, understeer, and 180 degree recovery. Hi I would really like to book a wacky racers driving experience but have noticed they are not available at present. Do you have any idea if send Shen they will be available again. It looks like this experience day may have been suspended or discontinued. 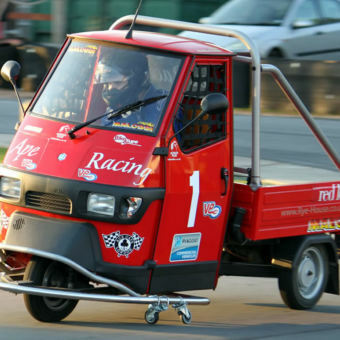 In the meantime you may wish to consider Stunt Car Driving, Stock Car Racing, or even the wacky Piaggio Ape Racing. The Wacky Racers experience disappeared a while back. The next best thing would be stunt car driving or stock car racing.